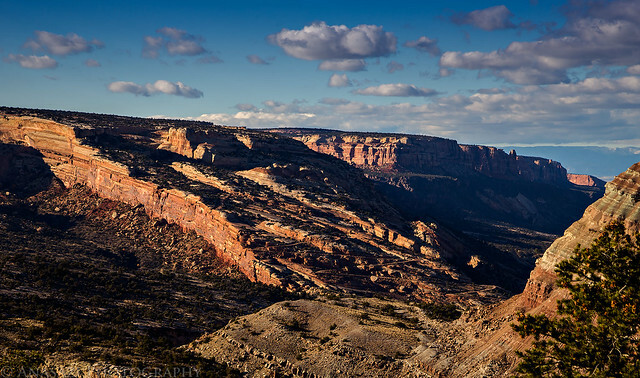 An evening view from the rim of No Thoroughfare Canyon in the Colorado National Monument. 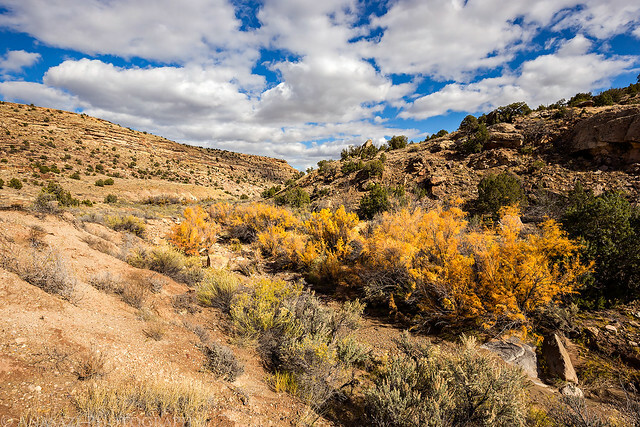 We started the hike on the Tabeguache Trail but quickly left it to hike cross-country to the mouth of Bangs Canyon along the Gunnison River. 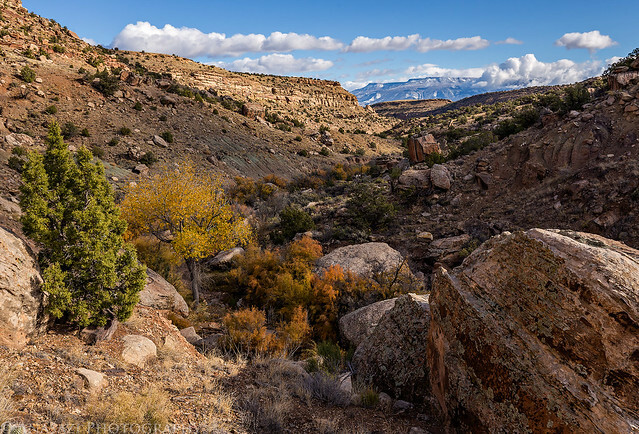 Our plan was to hike up the canyon to the it’s confluence with West Bangs Canyon and then return the same way. This route ended up being just over 10 miles round trip. We stayed in the bottom of the wash a lot of the hike, but we also followed segments of trails along the wash that would disappear and then reappear. 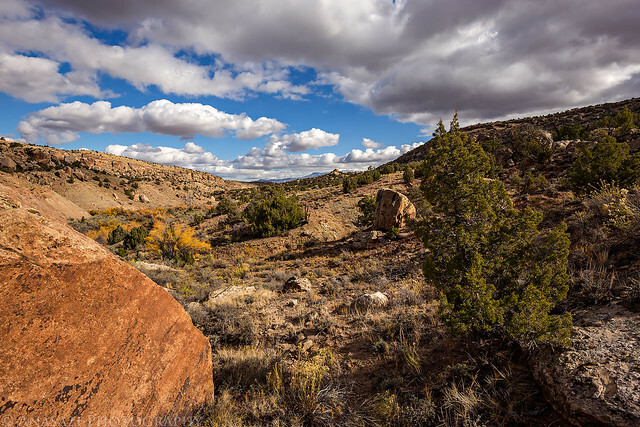 We bushwhacked through wet sage brush, tamarisk and willows, scrambled over rocks and boulders that choked the wash and slid around on greasy clay that we would encounter in the canyon. It was a fun hike! We had a nice hike that was only a few miles from home and we didn’t encounter another person in the canyon all day, not even any footprints. It’s great to be able to find this kind of solitude only minutes from home! 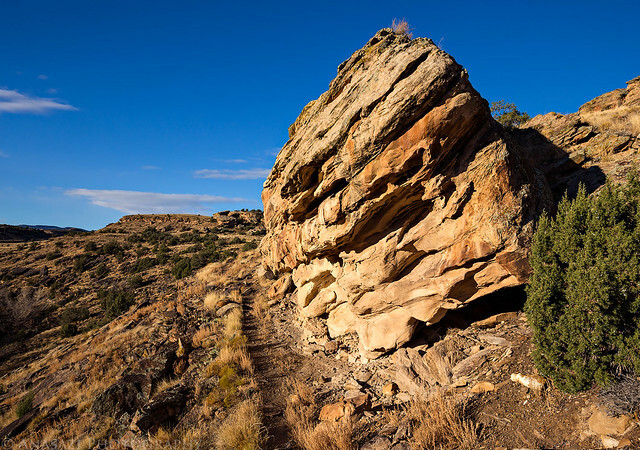 The start of the hike on the Tabeguache Trail above East Creek. Following the wash in Bangs Canyon upstream. 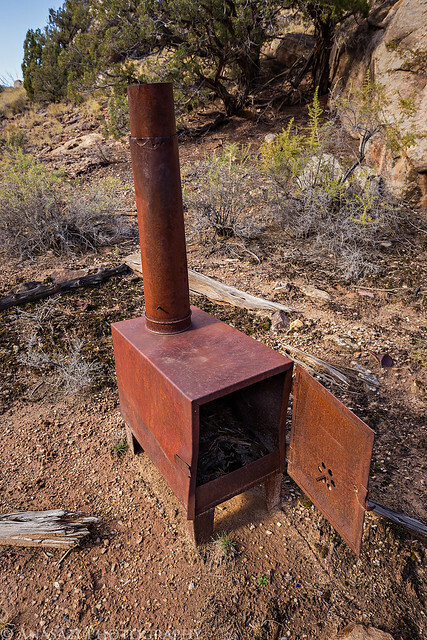 We stumbled across an old camp area on a bench above the wash that had this old stove or furnace. 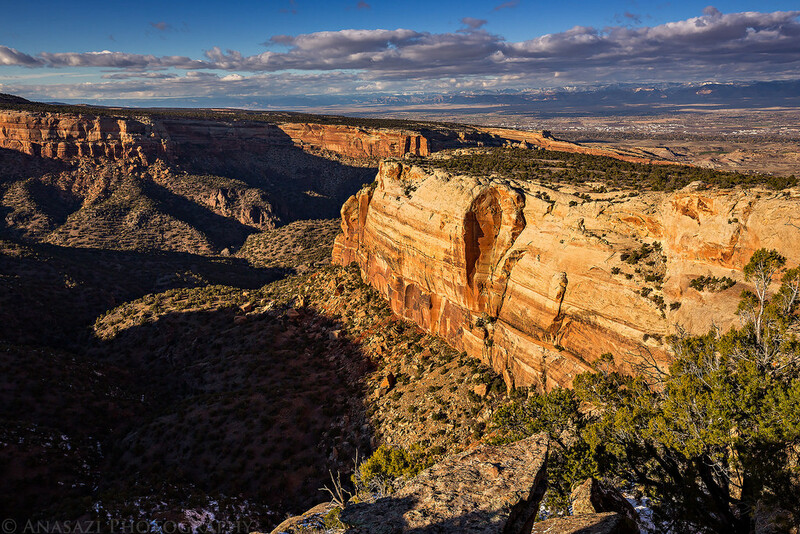 Above the old camp was a nice view down Bangs Canyon with the Grand Mesa visible in the distance. When following the wash got too difficult because of vegetation and large boulders, we climbed to the bench above and followed it to the confluence. 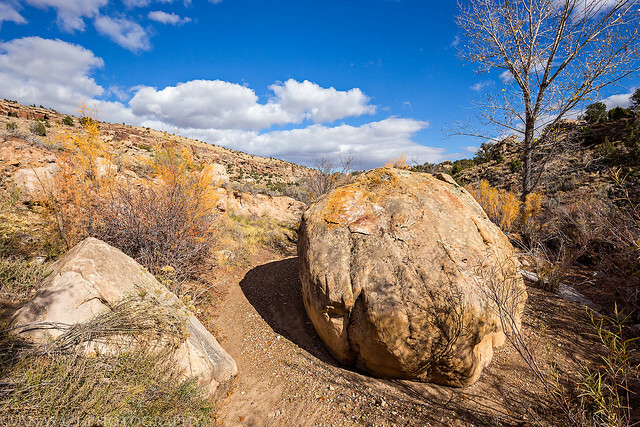 One of the many large boulders in the wash on our hike back downstream. After returning to my Jeep at the trailhead I drove back into town and stopped for a late lunch. 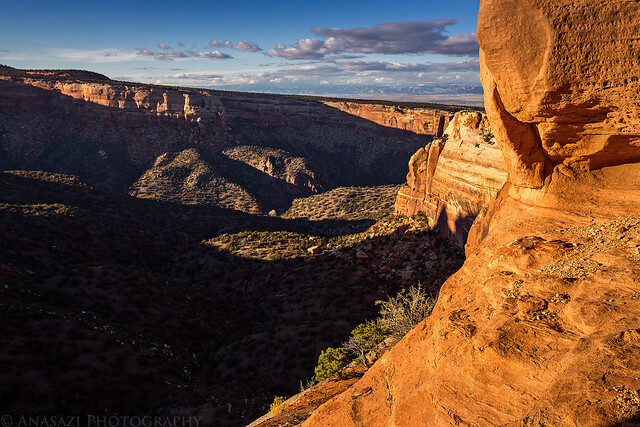 Then I headed up Little Park Road and hiked into the Colorado National Monument to catch the sunset. 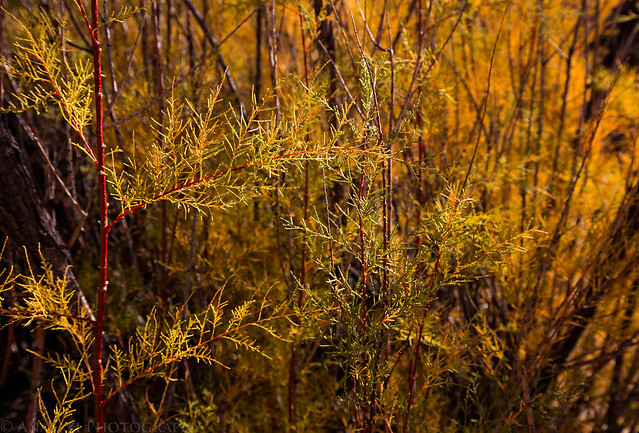 Here are a few photos from the short hike in the evening and my drive home down Little Park Road. 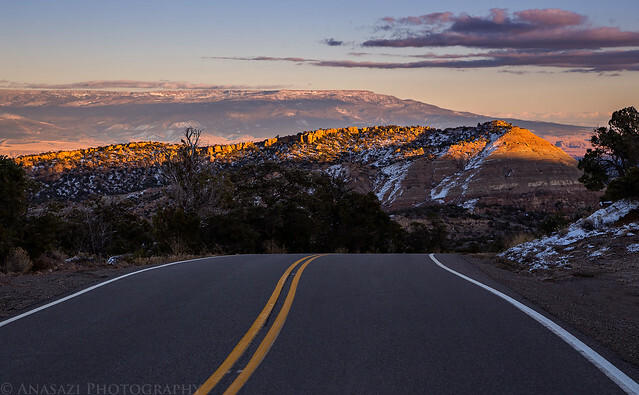 On my drive up Little Park Road I stopped for a quick photo of the Serpents Trail switchbacks in the distance. A nice view out of Windowpane Arch. 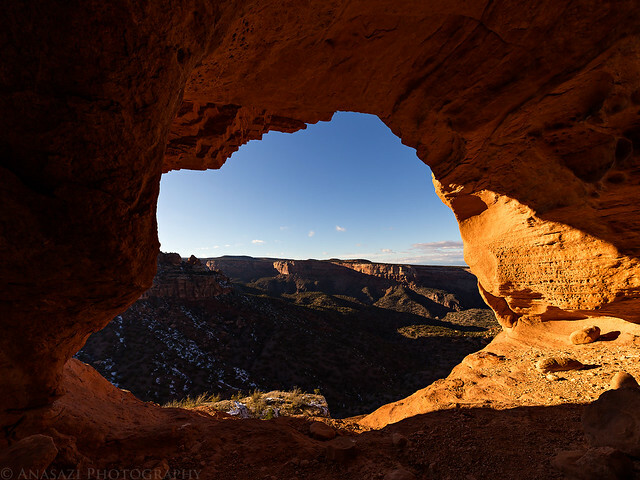 Another view from inside the arch looking down the canyon. An evening drive down Little Park Road on my way home. The Grand Valley shortly before sunset. 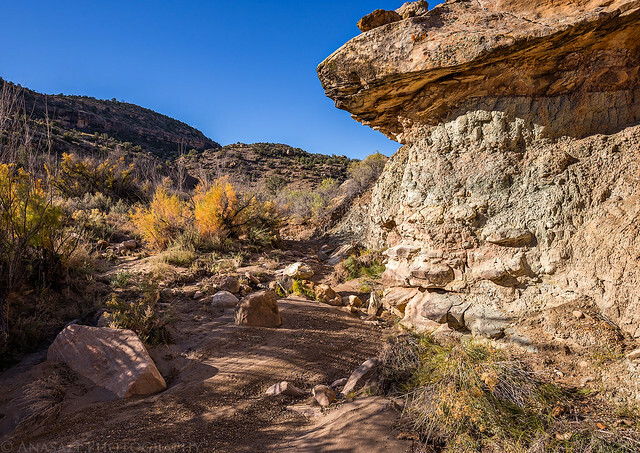 I have included a Google Map of our hike into lower Bangs Canyon below for anyone interested in checking it out.